Single-line guestroom speakerphone with five (5) programmable guest service buttons, hold, redial, mute, EasyAccess data port, message waiting light, ExpressNet-ready. Created with the International hotelier in mind, Opal telephones incorporate the latest functions in a modern European design. 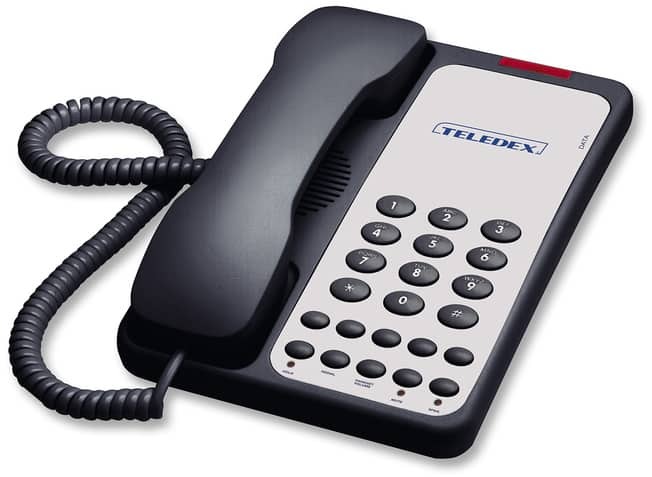 The Teledex Opal Series combines stylish international design with legendary Teledex reliability, in a package that helps any property put its best foot forward.